Travel season is just around the corner, and if you’re like me you probably take your laptop with you whether on business trips or leisure. 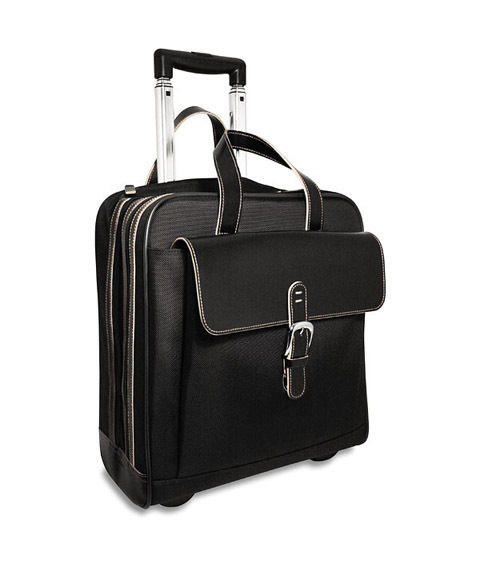 Carrying a laptop bag is not always comfortable – especially during a long trip – but with the Vertical Wheeler by Jack Georges it’s a breeze. 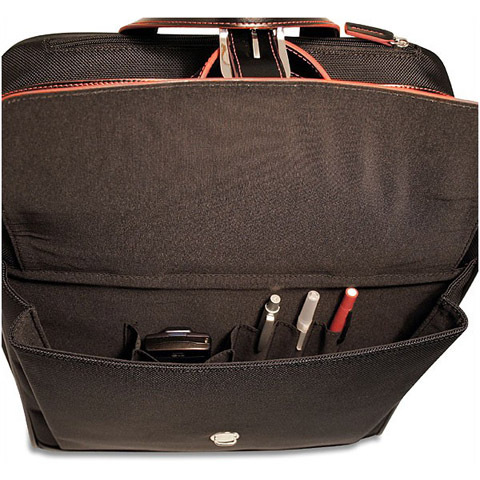 This stylish bag consists of a padded compartment to keep your laptop safe and secured, various pockets and organizers, an accordion divider, and an extra zippered back pocket for your papers or travel documents. 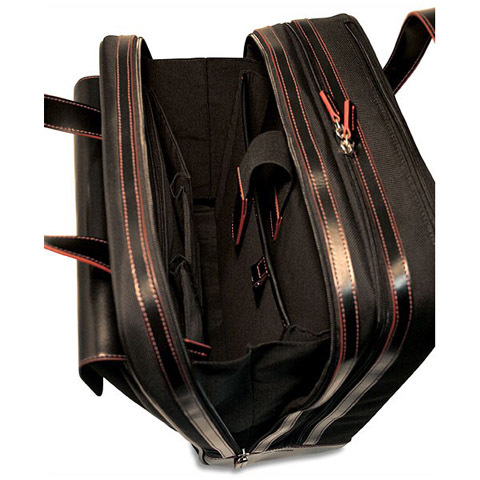 To make it even more convenient, a piggy-back strap will securely hold the case on top of your carry-on luggage. Now all you have to do is relax, have a cup of coffee and wait for boarding to begin.